This interview has been in the works for WEEKS, but due to scheduling conflicts and my, ahem, very disorganized life, I couldn’t quite put it on Spiktinot until this fine Tuesday evening. And boy, am I glad I did- Spiktinot just hit 2500 likes on Facebook (!). You know what that means: it’s giveaway time! Stick around to the end of the post to find out how you can win a copy of This Way is Easier, Dad: How My Daughter Saved Me From Growing Up by Harimohan Paruvu: author, blogger, former cricketer and the guy who patiently emailed back-and-forth with me until I FINALLY got this post up. (Thanks for putting up with me, Harimohan). Harimohan is a blogger and the author of the books 50 Not Out! and The Men Within, amongst others. He has been a columnist, a Ranji Trophy cricketer and a banker, but never all together. You can find him here. You were a cricketer and a back-bencher, as you mention in the book! At what point did you realise that writing was also an option? I always enjoyed writing. When I was in school, I wrote long letters that made people laugh. I loved the feedback they would give. Then I progressed to writing for school and college magazines. My class mates would be surprised that the fast bowler is writing essays and articles in the college mag! Then I wrote articles for newspapers. Finally, I attempted a novel. I left a secure bank job to follow what was my passion. Cricket and writing were two things I enjoyed which I felt I could use to create something different. I wrote while I was still working. I soon realised I could do 12 hour writing days, so I chucked the job and dived in. Were you a writer first, or a blogger? Blogging came much later. I wrote my first articles for newspapers in 1995. I attempted my first novel in 1998 (which never got published!). Blogging came only in 2007. I was one published novel and four unpublished books down by then. What was making the transition from one to the other like? Writing a novel is a very structured process. It is many little thoughts and acts that add up to the big picture. A blog could be one random thought. I use the blog to capture my fleeting thoughts, incidents that stick, reviews, interviews – almost like a journal to refer to. I have not transitioned, really. I do both side by side. If a blog takes up half an hour or an hour, working on a book could take a few hours every day. What are the challenges of blogging for one used to writing in long form? None! I tend to be a lot more informal on the blog, because on it, I am not too concerned about being correct. There is no specific style I adopt. But in the long form, I tend to follow a particular style depending on the subject and my treatment of it. Also, blogs can end in two lines if you wish, which is their great advantage. How did you first start finding readers for the blog? Was it a slow start? 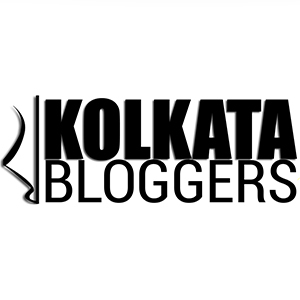 My friend, Vinod Ekbote, started me on the blog. My latest book This Way Is Easier Dad… would not have been possible if not for the blog. I started blogging very self – consciously as we all do when we are putting out creative work out, I suppose. For some reason, I thought the whole world would want to read my blog, was waiting to read my blog! Luckily, they were not interested – or I might not be writing today. Then I shared the blog with some people, after which other readers visited the blog because they liked certain topics. This is how it grew. As I became more adventurous and carefree, I felt that the readership also increased. I advocate blogging to everyone because I think it will make them be more aware of themselves and the world. While blogging or writing novels, do you sometimes feel the pressure to tailor your content to the demands of your readers? I don’t feel that pressure at all. I avoid popular or contemporary topics and do not write about them unless I am compelled or moved to write. I agree that it’s easier to keep a larger readership going if you write about stuff in the popular and contemporary sphere, but I am happier writing about stuff I want to write about, and when and how I want to write about them. Blogging gives me that freedom. My choices with novels and books have also been guided by the fact that the idea should interest me and I should feel that I could do justice to that topic. Only then will I attempt it, and not simply because there is a demand for these topics. For instance, it would be very easy for me to write bios of cricketers or 10 things I learned from XYZ cricketer kind of stuff . But that does not appeal to me. It is too superficial to write about someone else’s thought process without knowing them. From the archives: Father and Daughter with their joint creation! All kinds! Humour, drama, adventure, romance, fiction, non-fiction, biographies, classics, sports, business books, self help books. I try to balance it. I would love to catch up on reading the classics, so nowadays I’m reading Lady Chatterley’s Lover. I also loved Steinbeck and Hemingway. I read business books (The Tao of Leadership by John Heider, How Google Works by Eric Schmidt & Jonathan Rosenberg, Good to Great by James C Collins) because it gives me insights into my work with companies, humour (Wodehouse, Sue Townsend, Tom Sharpe, Dave Barry), non-fiction (Eckhart Tolle, Deepak Chopra, William Dalrymple)…whatever catches my eye. I feel like I have to make up for my back-bencher days! I believe in having a full shelf which keeps me looking forward to things to read. In India, who are the new writers to watch out for? Among contemporary Indian writers I like Rohinton Mistry, Krishna Shastri Devulapalli and Anita Nair. I enjoyed Sidin Vadikut’s Dork series. If you could give one piece of advice to a new blogger/writer, what would it be? Write and write about things that move you. Keep at the craft and learn and understand life and the conditions you are familiar with. Try and get familiar with human nature so you can write interesting characters. And most importantly, be patient. To win a copy of This Way is Easier, Dad: How My Daughter Saved Me From Growing Up, here’s what you do: like this post on Facebook and tag two friends in the comments. The contest will run until Tuesday, 12 September. I will choose one person at random (yes, it will be at random) from the likes and comments, and will inbox you for further details. Featured Image courtesy of The Hindu.